1991 Interstate Challenge Lakeside 10th. 1992 Interstate Challenge Lakeside 3rd. 1995 Interstate Challenge Lakeside 6th. 1997 AMCN Interstate Challenge Eastern Creek 5th. Member of winning team in team race. 1998 TJ's Race Paint One Hour Oran Park South 2nd. Member of 2nd placed team in Team Race. 1999 TJ's Race Paint One Hour Oran Park South 4th. 2001 Interstate Challenge Eastern Creek 6th. 2004 Suzuki Newcastle Bucket Nationals 6th. 2006 One Hour Race 7th. 2008 One Hour Race 2nd. 2009 One Hour Race 1st. Ken Lindsay is the hard working long time president of the Bucket Racing Association NSW, engineer and Bucket racer extraordinaire. He's held the Office of President for many years and has a life long membership of the club, in recognition of the hard work he puts in. He usually runs in three classes at most meetings and still finds time to be involved in some other aspect of a meeting whether it be race number scrutineer, organising the trophies for the prize winners of the day or whatever task needs to be done he is always there to help. There is always a welcome at Kens pit bay and if you've got a problem whether it be setup or in your head he is only too glad to help out. Kens common sense approach and commitment to the Bucket Racing Association and bucket racing will ensure it's continued success. It was Ken who came up with the idea of having a one hour race back in 1997 and it's gone from strength to strength since then. He's latest baby is the Bucket Nationals for 2011 and it should be another successful chapter in Bucket racing. 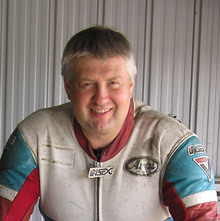 He has a fine stable of bikes starting with his multi championship winning Superlite,(see Building a Works Bucket Racer) the bike with which all Superlite buckets are judged. It is an immaculate and finely engineered racer with a racing record to match. 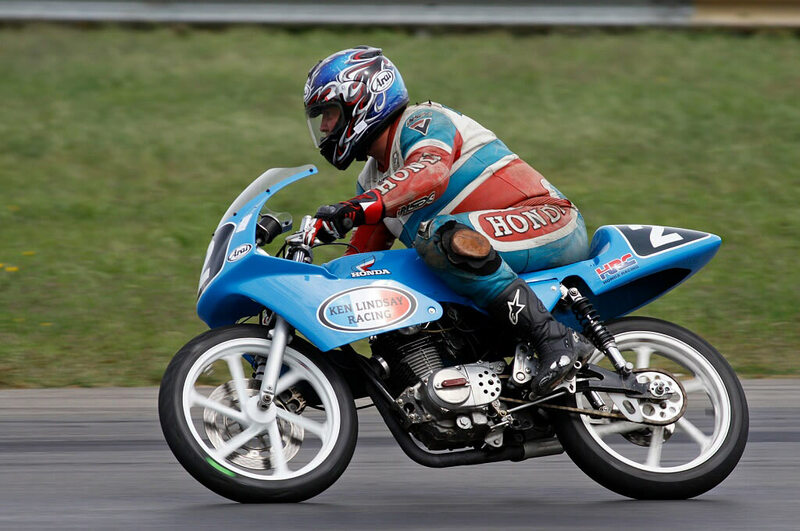 He has ridden this machine to many wins and podium's in Superlite championships and 1 Hour Races, it currently holds the Superlite Lap Record for Wakefield Park set during the 2009 1 hour race by co-rider Mark Strong. 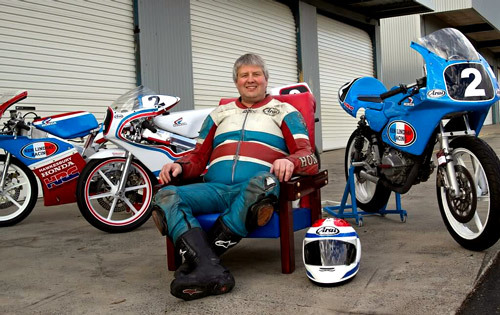 King Kenny poses with his stable of bikes, from Left: Motolite RS85, 1990 RS125, RCB150 The winning Superlite and Honda CBR900 all immaculately turned out. 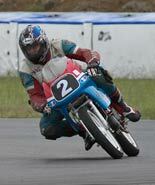 I started Bucket Racing in 1988 with a pretty standard CB125N. 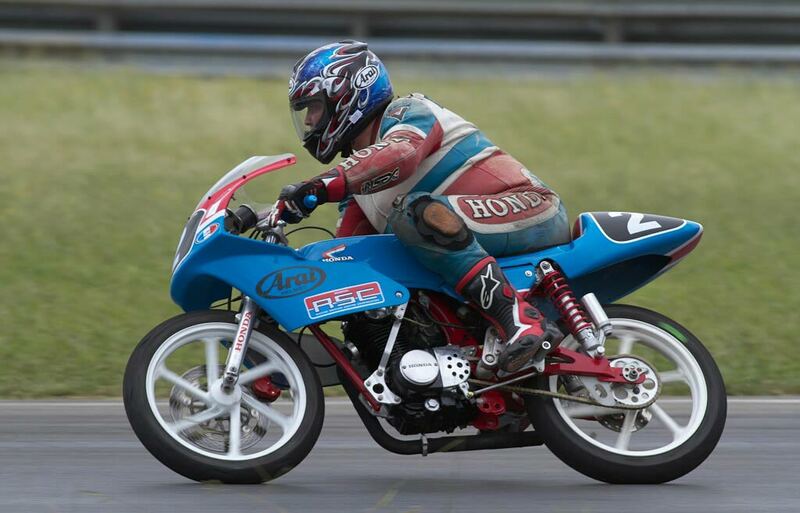 The Bike was bought from Penrith Motorcycle Wreckers for $350 with the motor out and completely stripped down. So why start with a CB125? Well as a 13 year old kid I worked and saved up enough money and bought a new Honda XL100. This was an excellent bike and I rode the wheels off this every weekend and even raced it in junior Motocross, Enduro and Dirt Track or as it was known Short Circuit. I won my fair share of trophies on this bike and got to know how the motor worked pretty well. So there was no choice when it came to Bucket Racing. It had to be a Honda Single and of course the CB was more "high tech" than the XL, with its two piece head, mechanical front disc brake and geometry more suited to road racing. 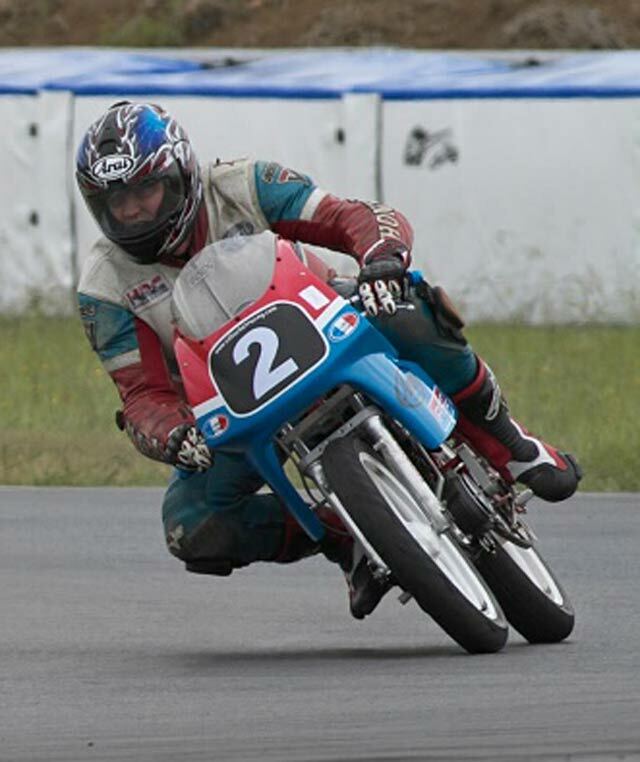 The first time the bike was raced was at the third and final round of the Bucket Championships. The bike was very standard with rear sets, flat bars, straight through exhaust and a braced swingarm (high tech in 1988). The bike was then modified for 1989. Fitted with shocks that sort of worked, 28mm carb and a mild cam from Waggots. I won the Amateur championship in 1989 and was promoted to the Pro Class for 1990 (Big Time). 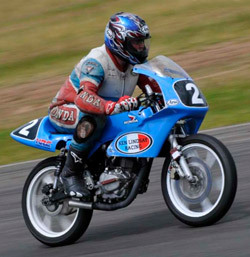 The bike developed over the years with virtually every component being changed or modified. 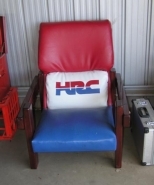 It finally reached its peak in development and I went on to win the 1999 Pro Bucket 4 Stroke Championship. At this point in time, the competition had grown very strong and it would prove to only get more competitive. More modified machines with better brakes, suspension, dyno tuned engines etc. began to appear so more development was necessary or be left behind. Major modifications were required or build another bike using all the ideas that had been brewing up for some time. It was decided at this time to go ahead and build a new bike. 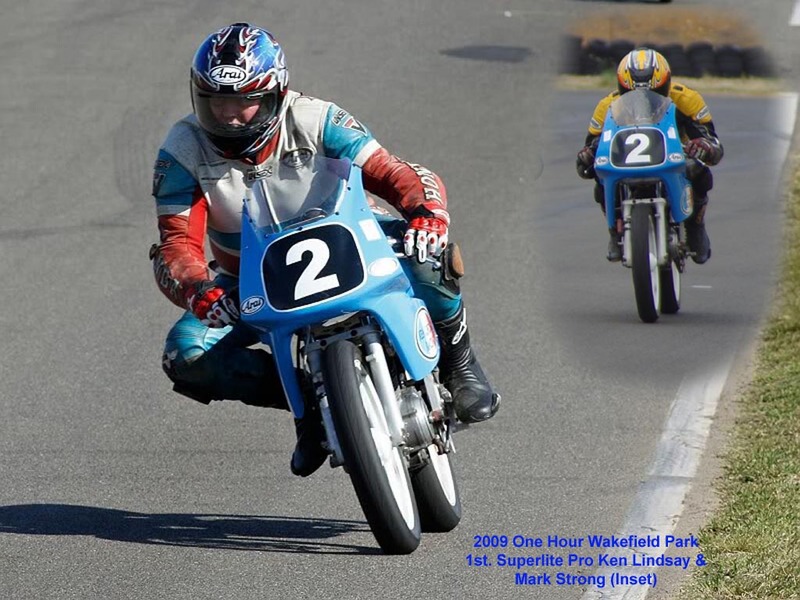 Work started on a new bike in mid 1999 and the bike was finally track bound in July 2001. King Kenny reigns on his throne surrounded by some of his race bikes. 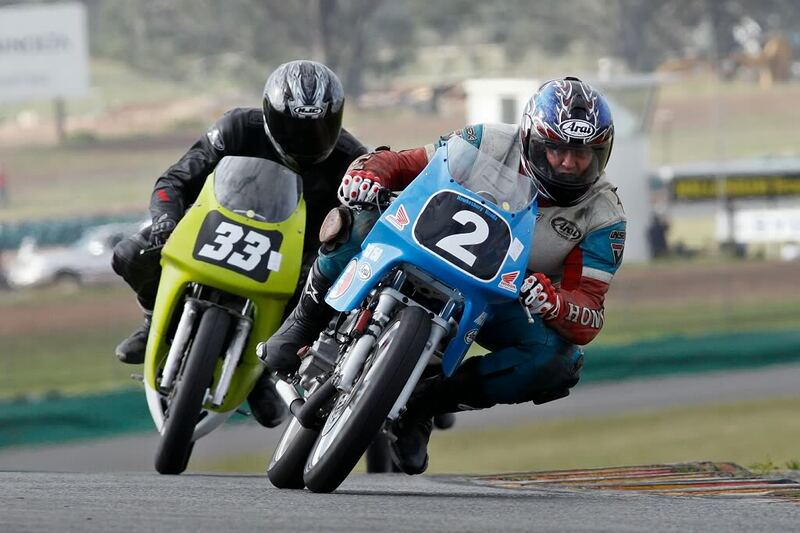 This shot taken by Thumper at the final PCRA meeting at Oran Park, sadly the end of an era but the King lives on.